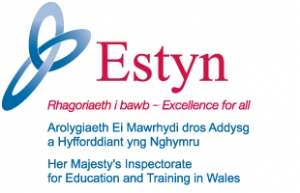 On the 24th March The Maelor School welcomes Her Majesty’s Inspectorate ESTYN into the school to conduct an inspection as part of its six year cycle. The inspection will detail the standards and quality of the school as well as providing an expert view on its current practice and how to improve in the future. A letter has been sent home detailing a survey for parents views. A parents meeting will be held in the school on Monday 24th March 5.00pm until 6.00pm. A sample of pupils will complete an online survey over the next week.